Google's Move to Encrypt Search: Consumer Protection or Blatant Monopolistic Manipulation? Google’s Move to Encrypt Search: Consumer Protection or Blatant Monopolistic Manipulation? Over the years, Google has moved from the barely-noticed search engine provider for Yahoo! into a giant of the Internet era, a provider of services from search to email to a popular mobile phone platform. During the period of Google’s success – largely funded by advertising on its search results pages and contextual adverts within the webpages of users – the company has been repeatedly accused of breaching privacy laws. Prime examples include the recording of domestic Wi-Fi networks by the Google Streetview vehicle, issues concerning Gmail privacy and the length of time Google cookies remain on a user’s computer. So what does Google’s recent move to encrypt search results for signed-in users mean? Is it truly a case of protecting consumers, or does introducing this feature represent a clear advantage for the search giant? We’ve all used Google to find websites and information. The process is made extremely simple: you enter a small selection of words or perhaps an error message and Google will provide you with a list of results. These are based on the term you entered – the websites in the list will all feature that term prominently or on a regularly-read page. All the end user has to do is click one or two links to find the information that they are looking for, and the job is done. In the background, however, things are a little more complicated. With a basic statistics software package running on the webserver, a website administrator can find out all manner of interesting information about people visiting the site. Even better, this is enhanced by Google’s own Analytics software, so data concerning browser type, location, etc., can easily be collected and digested. The benefits are considerable. By collecting such data, website administrators can make informed decisions about how their sites are used, and act accordingly. For instance, if people only spend 90 seconds reading a single item, the length of a user’s visit might be quite low. This enables an administrator to identify and implement a method of keeping people interested in the site for longer. Similarly by assessing the browser types used to view the website, an administrator can introduce a layout that presents an optimum viewing experience across all browsers on all devices. So How Does Secure Search Change This? Google’s new search feature enables a signed in user to retain control over their search. 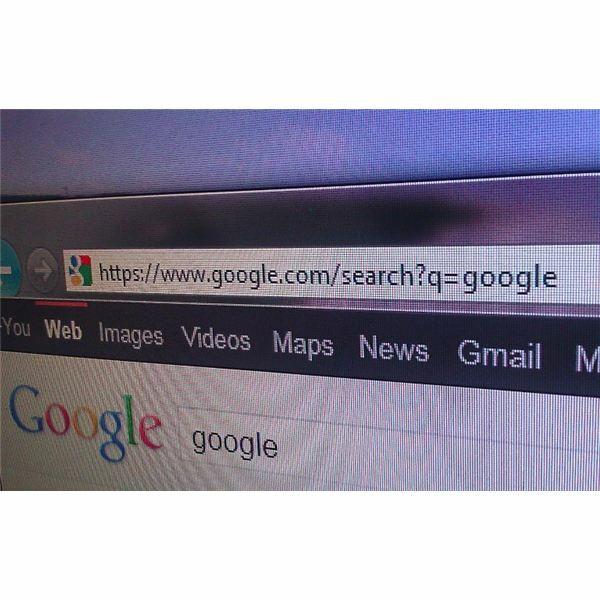 Only the user and Google will know what search terms are used. This might seem like a good idea, and many people might accept this as Google making an attempt to protect the privacy of its users. Whether the search giant has any real interest in this area other than a PR move isn’t for discussion here – instead it is the implication of protecting search data from other parties. Using the tools we talked about above, website owners can check how successful particular articles are by checking the keywords used to find them. Google’s secure search system prevents this, so anyone visiting your site while signed into Google will arrive relatively anonymously. For the vast majority of website administrators, this is a clear disadvantage. And why are search results being secured? After all, if there was a real and present threat to user privacy being broken by search terms, Google can quite easily encrypt all of its services. By restricting access to the keywords used to find a website, there is a strong likelihood that Google has spotted a chink in its armor and is implementing these changes to deal with this. It has been suggested that third party advertisers such as Chitika – which uses contextualization to target advertisements, much in the way that Google does – will suffer from these changes as their code checks the search terms used to find the websites that their ads appear on. This would allow Google AdSense to increase its market share. However there is another advantage to Google. Despite “securing” the search (signed in users will see that the search occurs via an SSL connection) the information is still gathered by Google; using Webmaster Tools a summary of information is presented. Sadly, however, Google is even preventing its own Analytics service from displaying the keywords and other relevant data, information that even Google’s own Chrome browser relays in normal circumstances. Strange? Not really – after all, little about this development makes sense. Ultimately it is a complete reversal of the inherent strengths of the web. It isn’t a massive stretch of the imagination to see Google selling keyword-related data on a site-specific basis in the near future.